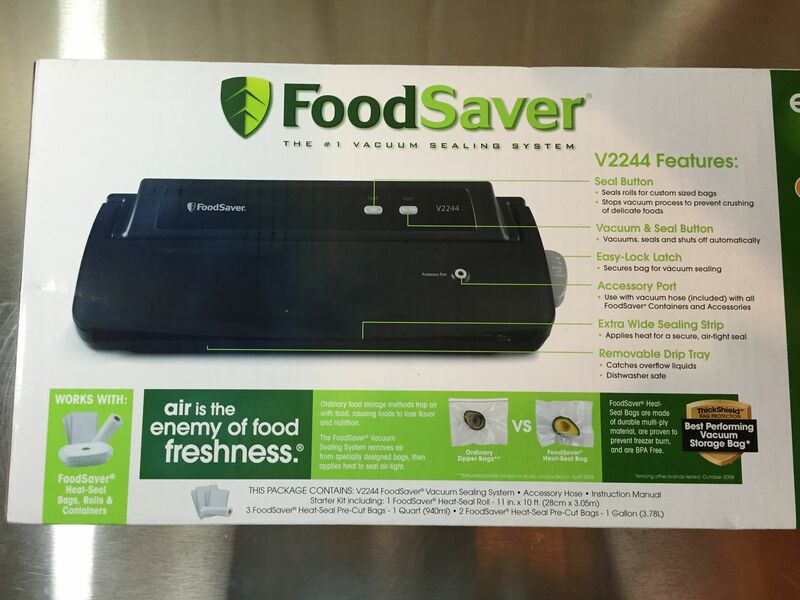 Here’s a hands on look at the Model V2244 Vacuum Sealing System by FoodSaver. Features: Compact Size, Removable dishwasher safe drip tray, Includes Accessory port and hose. First, Why would you want a FoodSaver for homebrewing? 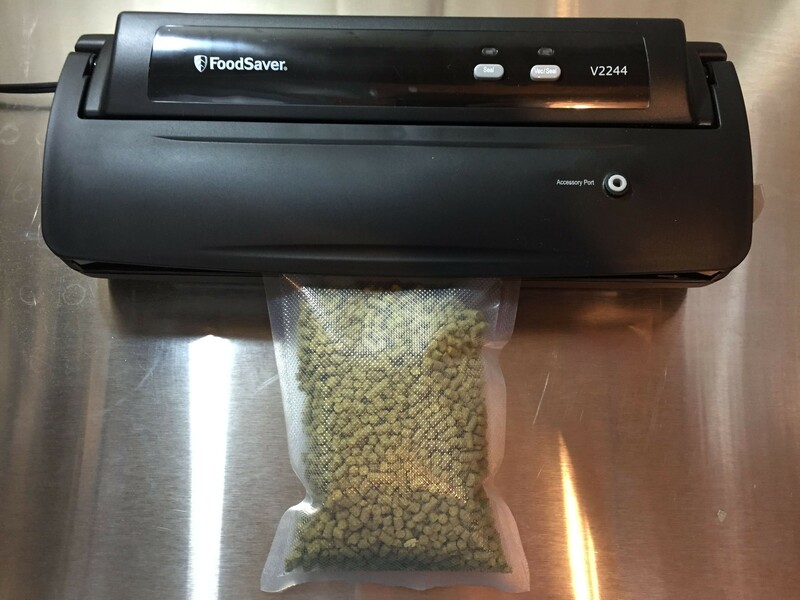 Vacuum sealers are indispensable for storing hops [See: 5 Recent Hop Finds]. 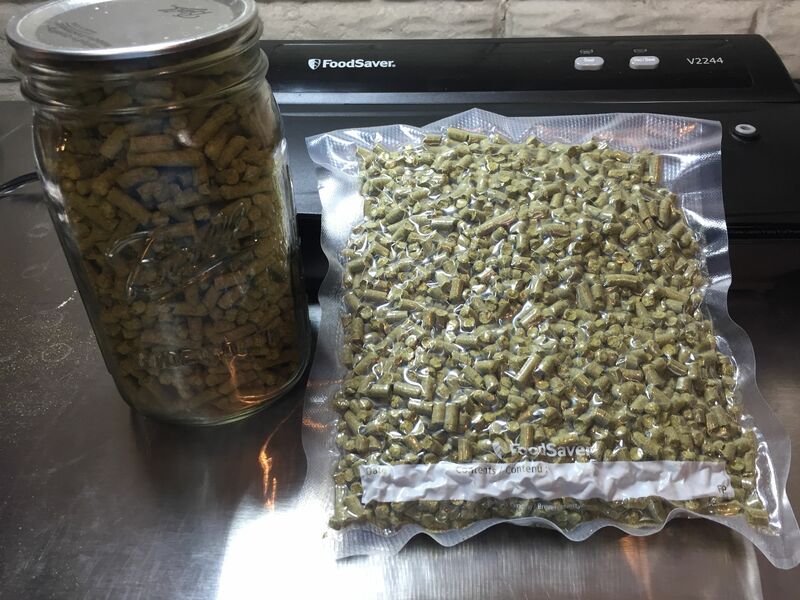 You can save money by getting in on bulk hop buys. Use your vacuum sealer to break these up and to preserve freshness. You can also store specialty grains in vacuum bags or using the mason jar attachment. Other uses include: storing base grains, partial dry yeast packs and storing and preserving other beer ingredients. A look at the front of the box. Click to zoom. 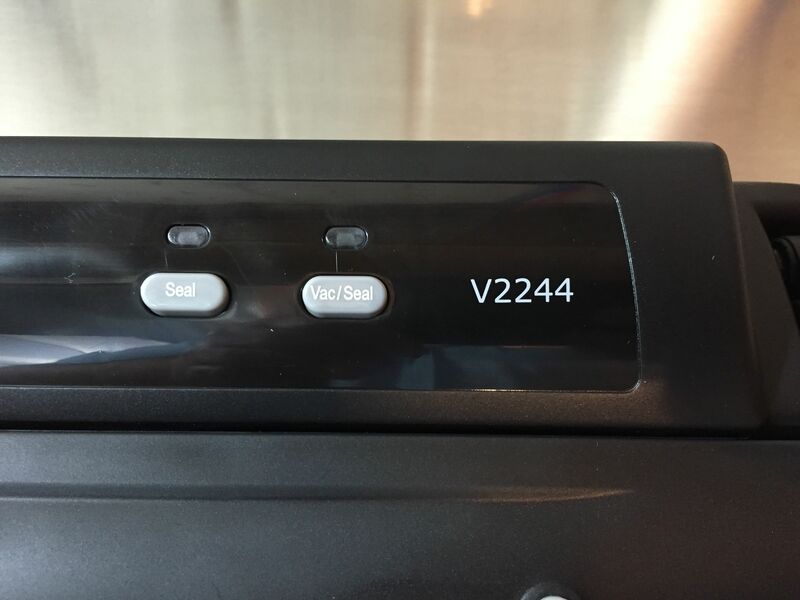 The bottom right of the box includes some additional information about the V2244’s features and contents. The starter bag kit includes 1 heat seal roll (11″ by 10′), 3 quart size bags and 2 gallon size bags. The back of the box contains a nice diagram of the V2244’s Features. 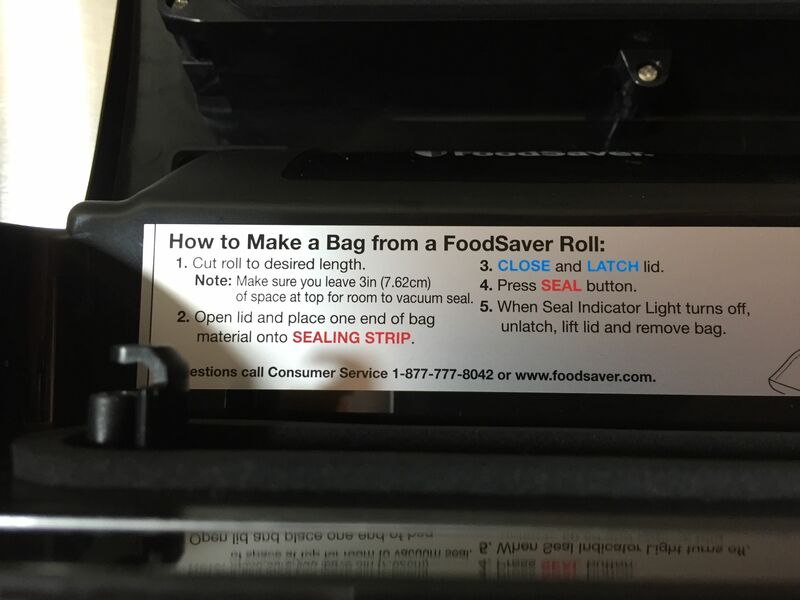 The “Seal” button seals rolls for custom sized bags. It also stops the vacuum process if you need to prevent crushing. 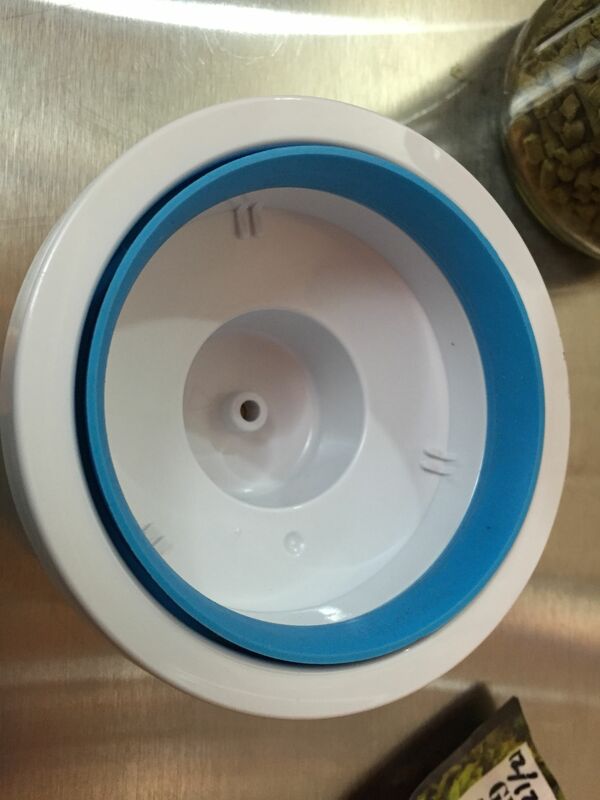 The “Vacuum and Seal” button… vacuums, seals and automatically stops when the process is complete. 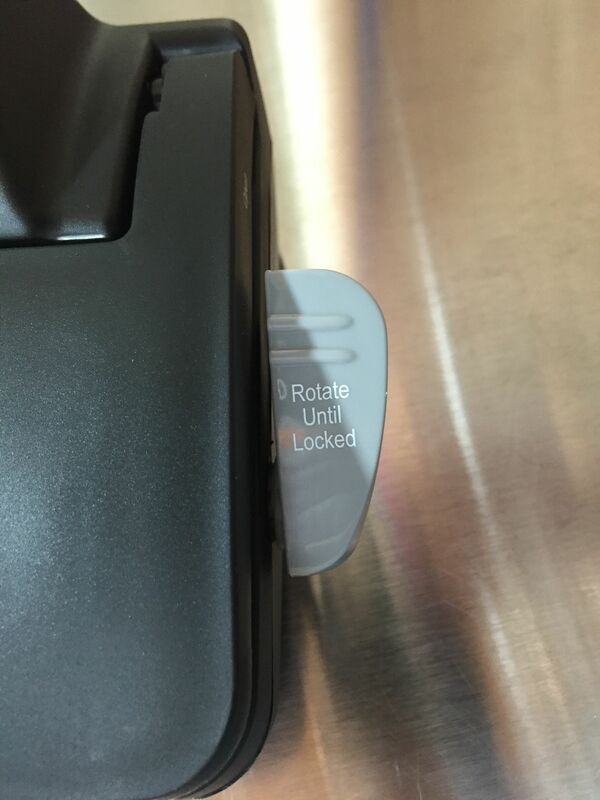 The latch closes the unit for vacuum sealing. 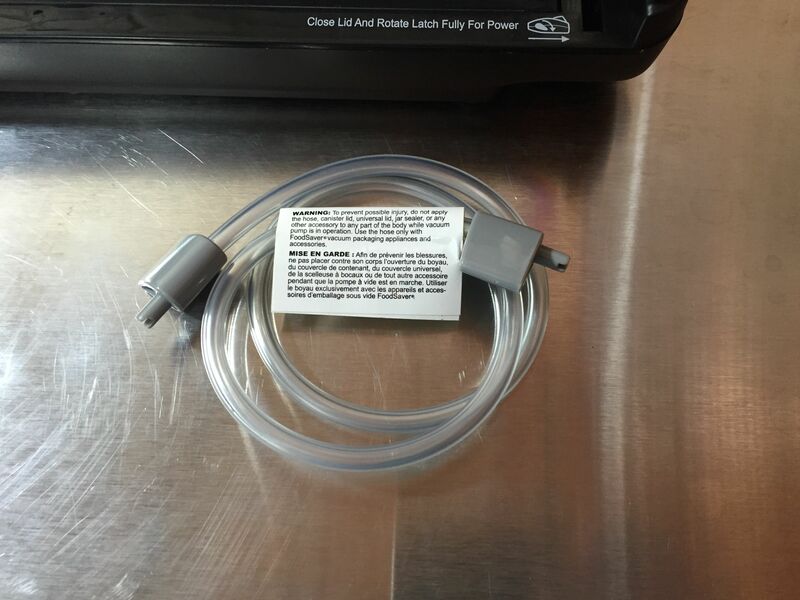 The accessory port works with the accessory hose to vacuum seal using FoodSaver accessories. The most interesting accessory (at least to me) is the Jar sealer. More on that later. 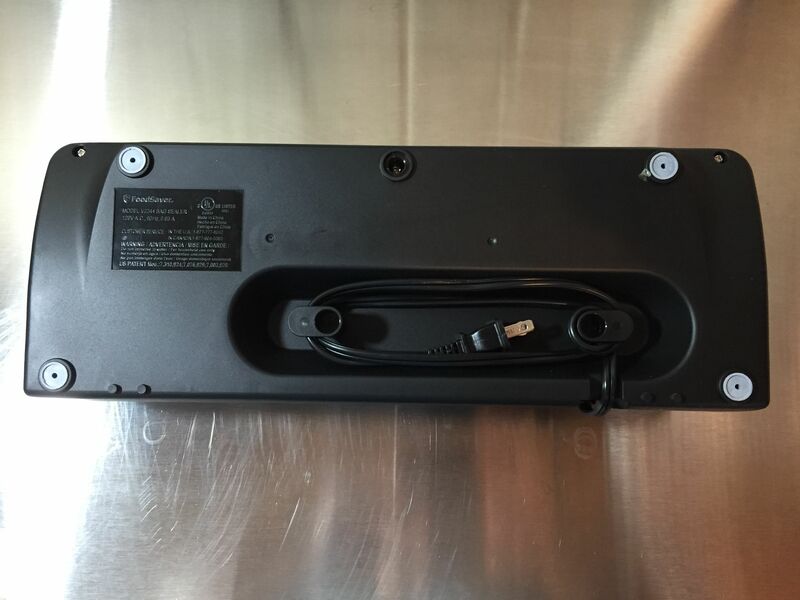 The extra wide sealing strip and removable drip tray are also highlighted. A look at the unboxed unit. The top right of the unit. You can see the seal button, vac/seal button and the model number. The accessory port is below the two control buttons. The latch. This must be closed to seal bags, to vacuum bags and to use the accessory port. I leave mine open when not in use. Here’s a look at the drip tray and the heat sealing strip. Here’s the drip tray removed. Although this may catch some hop particles or grain dust, this is really going to come into play when vacuuming moist items. 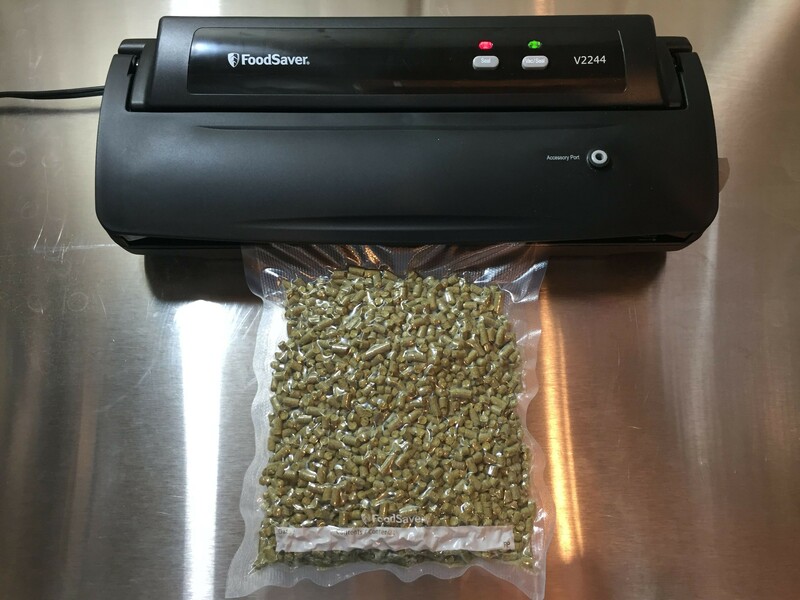 Handy to have, but if you’re using your vacuum sealer mostly for home brewing ingredient storage, you probably won’t need to clean this much. You can see here that the V2244 does not have roll storage and cutting capability. There are some ups and downs to that. Those features are nice to have, but they also make for bulkier units. 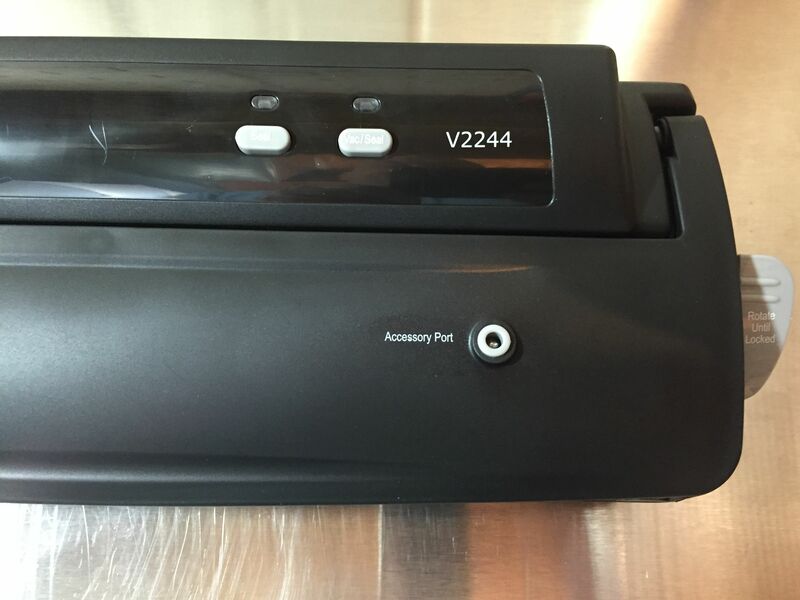 The V2244 is compact and easy to store. Handy instructions are built into the unit and visible with the lid open. 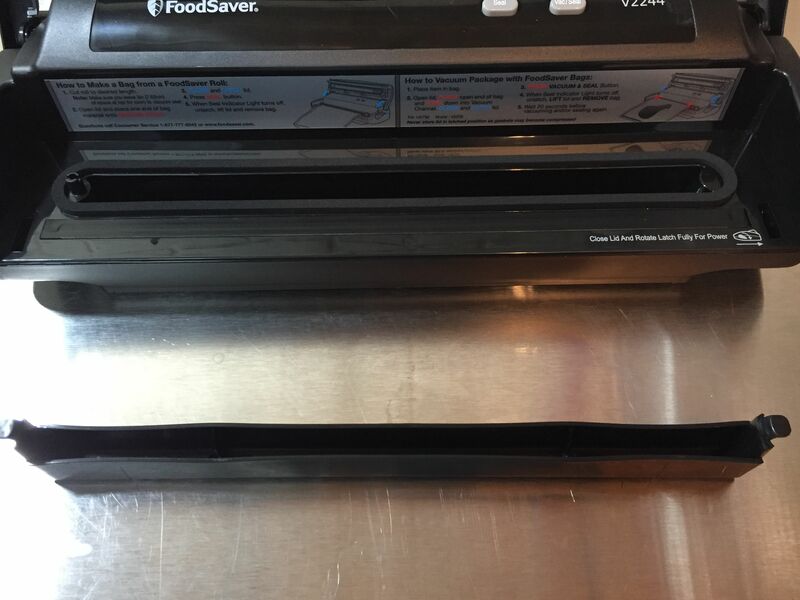 The left side tells you have to make a bag from a FoodSaver roll. 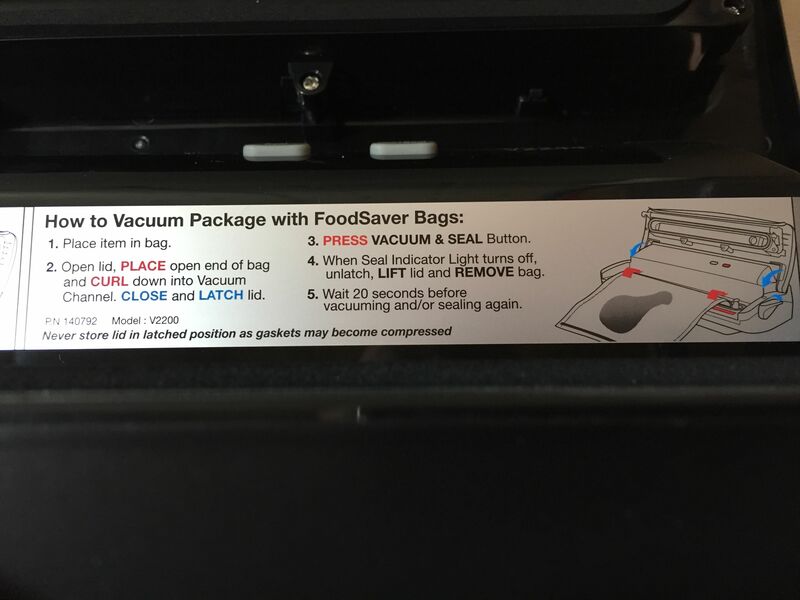 The right side tells you how to vacuum package with FoodSaver Bags. Consult the manual for complete instructions. A look at the included bags and roll. 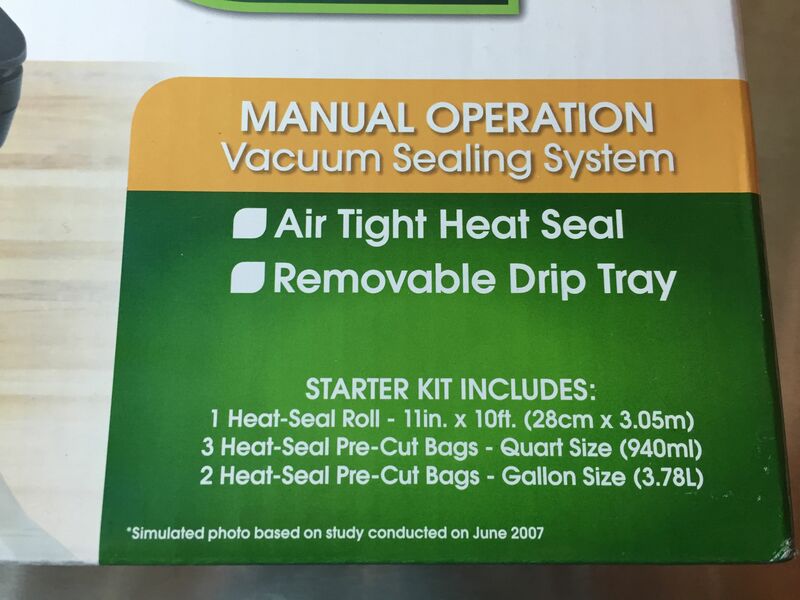 You get 1 heat seal roll (11″ by 10′), 3 quart size bags and 2 gallon size bags. A look at the included accessory hose. The gray ends are just to have something to hold on to and provide a bit of leverage when installing and removing the hose. 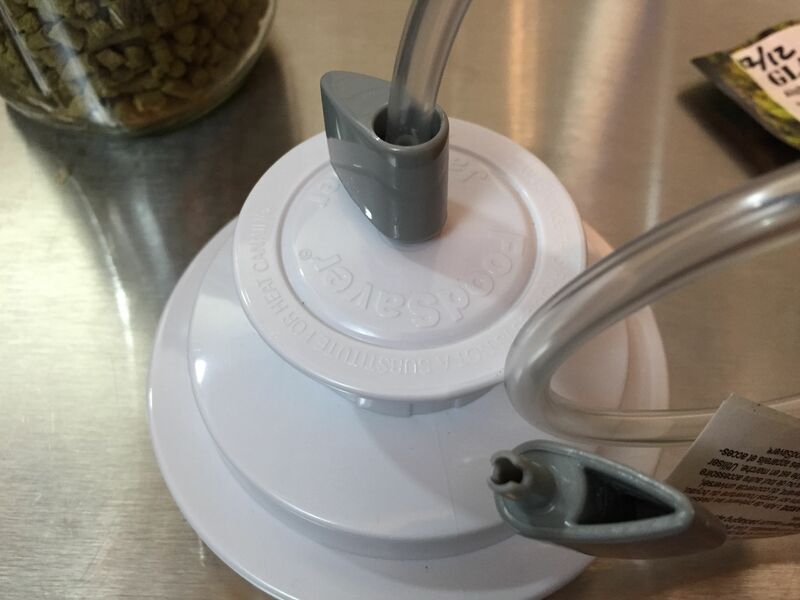 A look at the wide mouth jar sealer. Note: This is not included with the V2244. A regular mouth sealer is also available. Regular and wide mouth refer to canning jar (think Mason and Ball jars) sizes. You need the right size for your canning jars. I use all wide mouth jars so I only own the wide mouth version. Here’s the jar sealer with the accessory hose installed. Physical size of hops vary a little bit. I’ve found that a quart jar holds about a lb of hops. 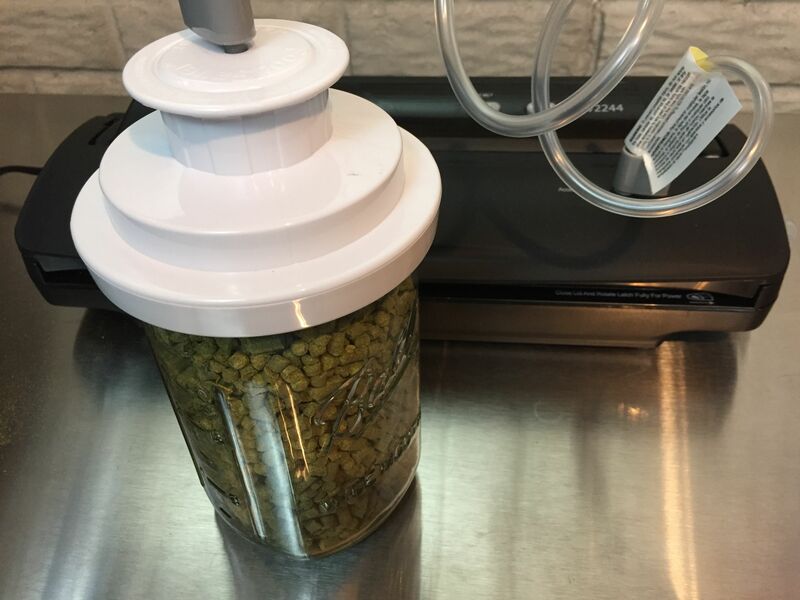 Use the jar sealer with a canning jar is a nice option because it is reusable and you can get out the hops you need as you need them. 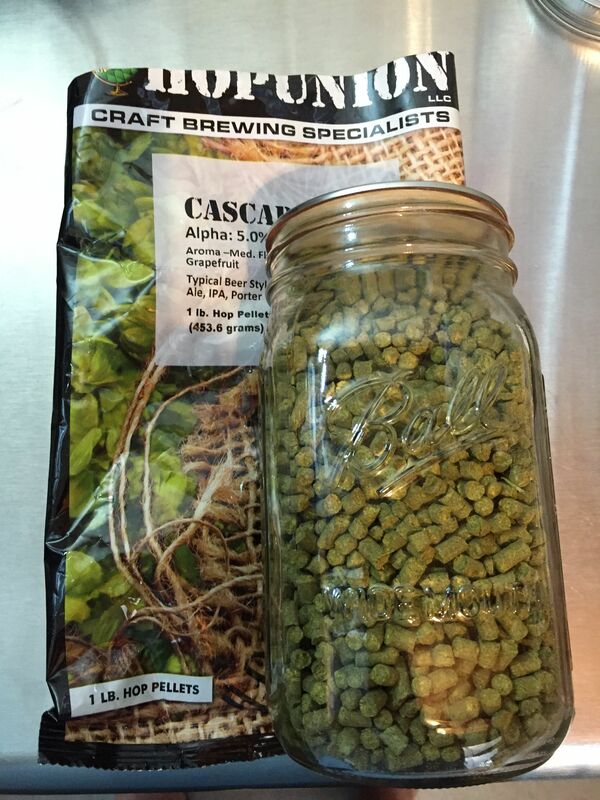 1 lb of Cascade in a quart Ball Jar. Notice the jar ring is not required. The lid stays on because the jar is under a vacuum. This is not a replacement technique for canning. 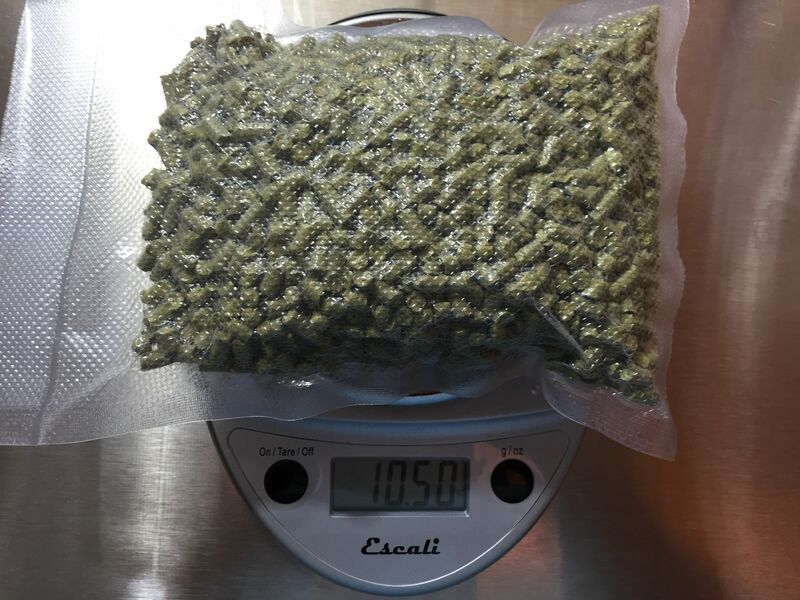 A quart bag also holds about 1 lb of pellet hops. Place your hops in the bag. Try to keep the top of the bag clear of hop dust and particles – that helps you to get a better seal. Place the top of the bag inside the drip tray and close the lid. 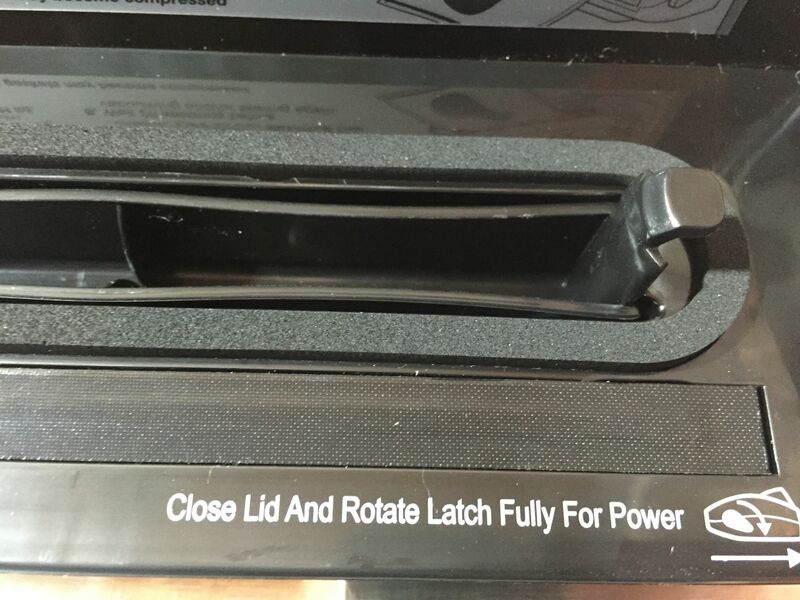 Rotate the latch unit it locks. After it has latched you can distribute the contents so that the bag will lie flatter in your freezer. Finally press the vacuum and seal button and wait for the unit to vacuum and seal your bag. You can re-use bags. Clean, dry and re-use as you’d like. Of course, as you open them (by trimming the top) you’ll lose bag material and storage space. A close up of the sealed bag. A nice tight pack. 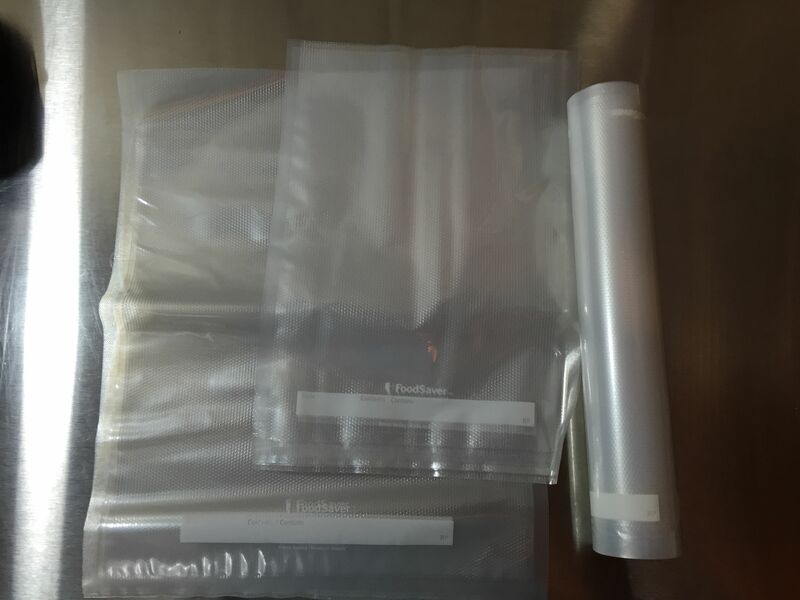 Other manufacturers produce vacuum sealer bags that are compatible with FoodSaver vacuum sealers. This can be a good way to save money. 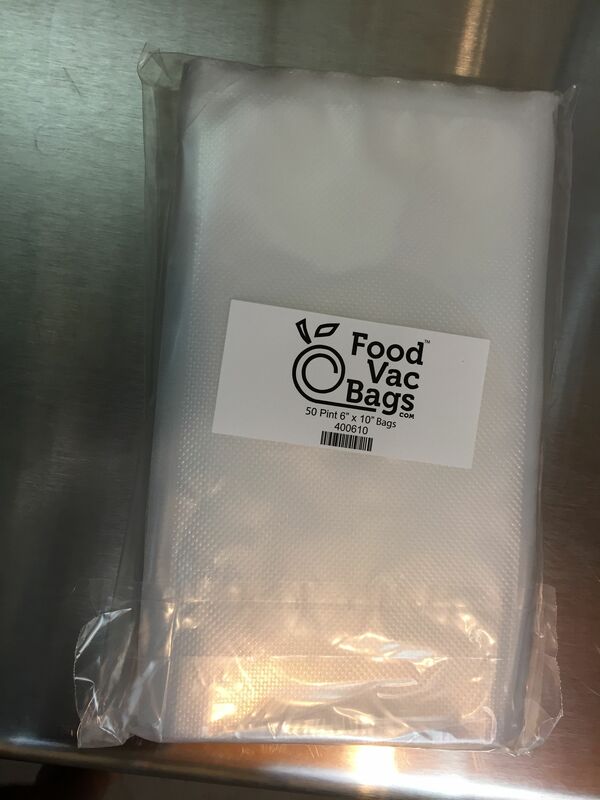 As an example – here are 4 mil, 6 x 10 Pint Sized Bags by FoodVacBags. In my opinion… These are high quality bags. They feel similar in thickness and quality to FoodSaver brand bags. I was able to get around 10.5 (includes the bag weight) ounces in these pint bags. 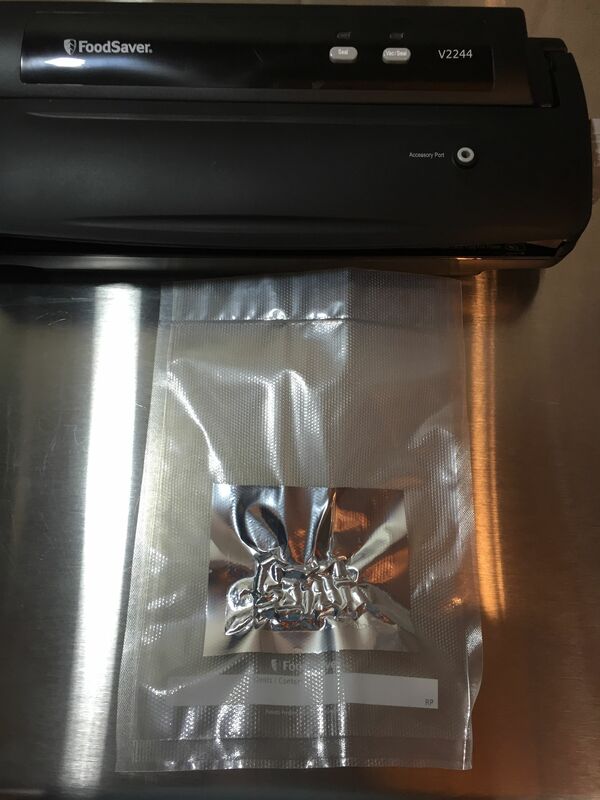 A quick way to store in Mylar bags is to place them inside of a FoodSaver Bag. 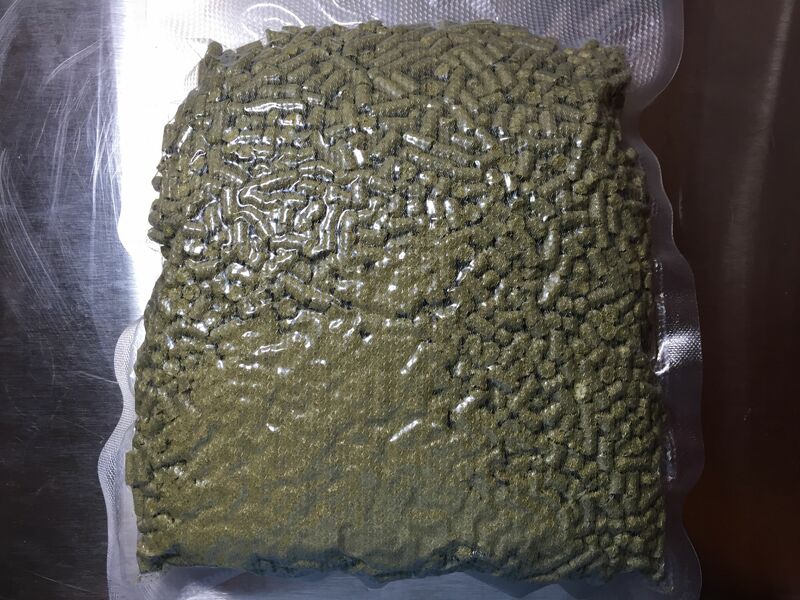 Here you can see a partial ounce of hops re-sealed in the Mylar bag it came in. The Mylar bag will be completely reusable, the FoodSaver bag will be mostly reusable. 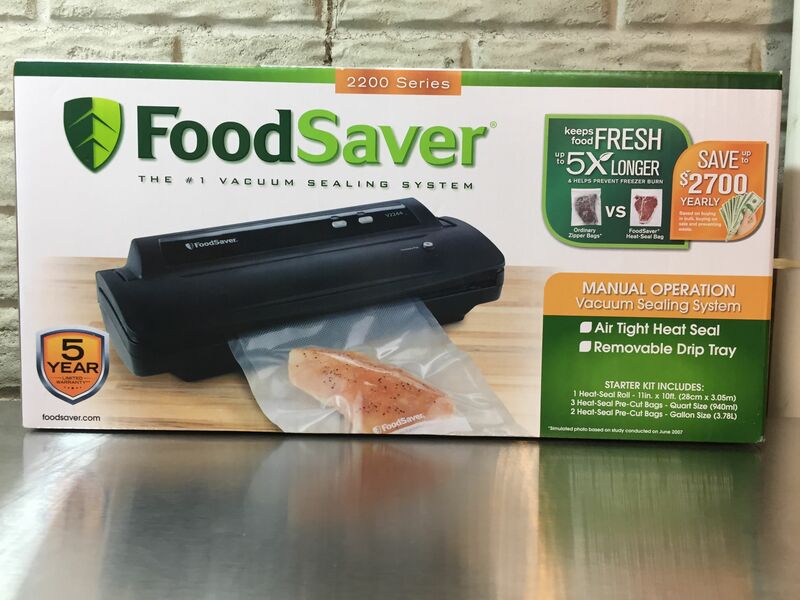 I’ve been an owner and fan of FoodSaver vacuum sealers for quite a while. I picked up my previous unit (a FoodSaver GameSaver Bronze) back in 2012. That continues to look and work like new. 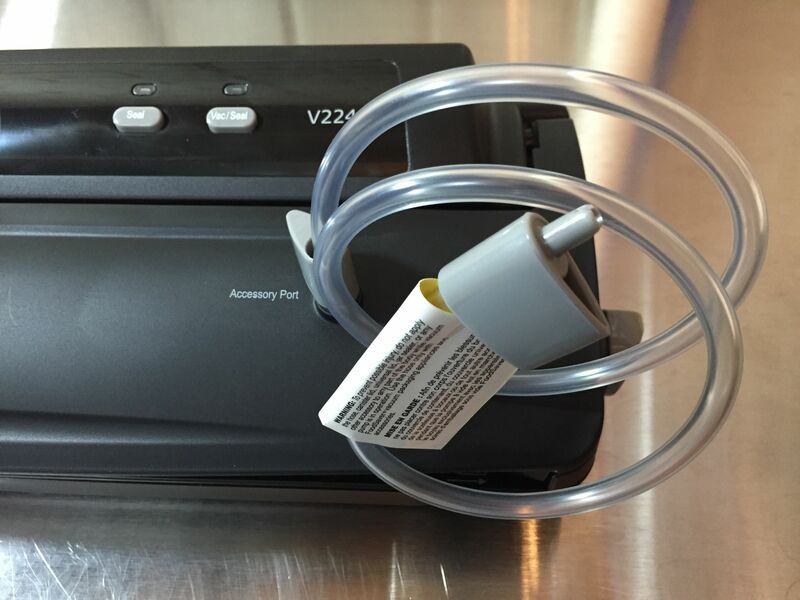 The reason I purchased the V2244 was because I wanted to review what I consider to be one of the more popular FoodSaver models. 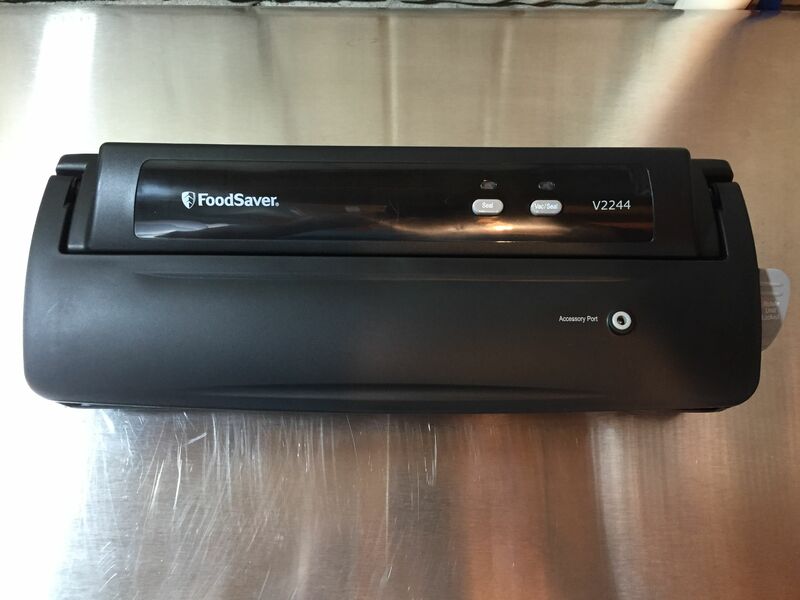 I’m pleased with the the FoodSaver V2244. It’s a great vacuum sealer. It seems well built, seals well and has an accessory port. 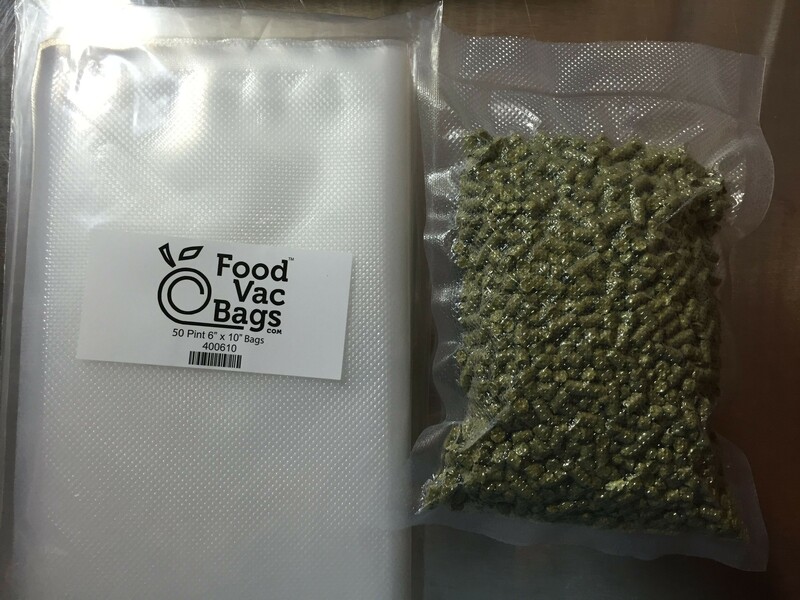 Vacuum sealing is a great way to save money on hops and maintain freshness of your homebrewing ingredients (and more). This entry was posted in Amazon, Featured Reviews, FoodSaver, HBF Tested, Reviews, Reviews & Top Posts, Vacuum Sealing on January 5, 2016 by admin. I bought one a while ago. To add to the storage, leave the lid completely open. Otherwise the seals compress and you won’t ever get a vacuum. I’ve been using this unit for a couple of years now. Very pleased with it. One tip I have is to store it with the latch in the open position. I’ve found the seal can get stuck together, which is a real pain, when stored closed for an extended period of time.